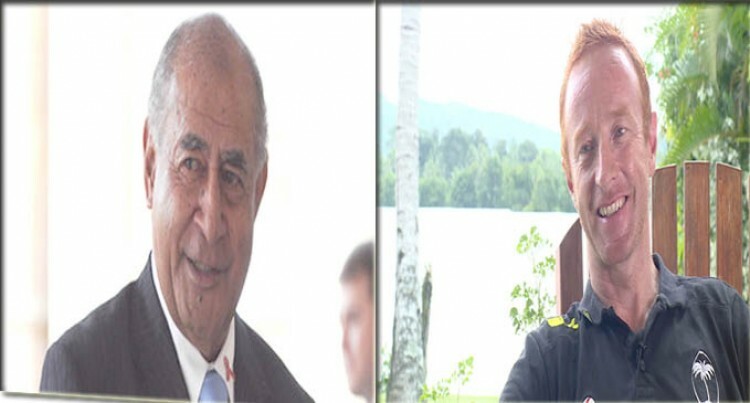 Former President Ratu Epeli Nailatikau (left), and former coach of our Olympic 7s gold medallist Ben Ryan were two of those, that fake news reported dead. In the social media world, 2016 will be remembered for the proliferation of fake news. This global phenomenon has spread to Fiji and is causing anxiety in the community. The Punja claim was written and designed to make it look authentic. Without any verification, gullible people easily fell for it. In Ambassador Saran’s case the fake report claimed he died in a “Christmas Market truck crash”. Obviously, it was referring to the incident where a tractor trailer barrelled into a crowded Christmas market in Berlin, killing 12 people and injuring 48 others. Mr Saran is based in Brussels. Another fake claim was about Olympic 7s gold medallist Kitione Taliga. It was reported that he had been linked to a multi-million deal with Adidas. Fake postings like that can quickly spread via social media. There are many who believe everything they see and read on social media. They shouldn’t. In the recent US presidential election, social media was the most popular medium of communication. It was also discovered that fake news sites pushing political propaganda increased. The New York Times reported that two of the world’s biggest internet companies faced mounting criticism over how fake news on their sites might have influenced the presidential election’s outcome. That’s a concern in Fiji too over it’s impact on people because it could influence the way they think. The internet companies responded by making it clear that they would not tolerate such misinformation by taking pointed aim at fake news sites’ revenue sources. The New York Times report said Google kicked off the action when the Silicon Valley search giant said it would ban websites that peddle fake news from using its online advertising service. Facebook, the social network, updated the language in its Facebook Audience Network policy, which already says it will not display ads in sites that show misleading or illegal content, to include fake news sites. “We have updated the policy to explicitly clarify that this applies to fake news,” a Facebook spokesperson said in a statement. Taken together, the decisions were a clear signal that the tech behemoths could no longer ignore the growing outcry over their power in distributing information. The fake news issue is part of the overall concern on the content of social media messages. Some people set up fake accounts and use them to launch personal attacks against those they hate. The only defence against fake news sites is to be vigilant and verify all information to ascertain their truth.